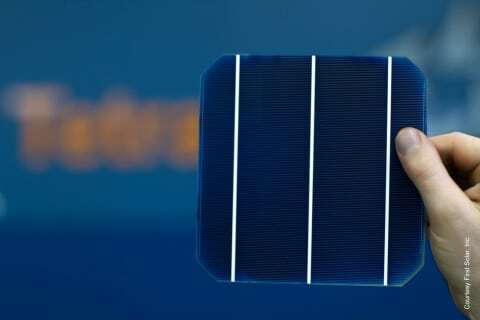 First Solar, Inc. today announced it is acquiring TetraSun, a solar photovoltaic (PV) technology startup which has developed a break-through cell architecture capable of conversion efficiencies exceeding 21 percent with commercial-scale manufacturing costs comparable to conventional multicrystalline silicon solar cells. First Solar signed a definitive agreement to acquire TetraSun from JX Nippon Oil & Energy Corporation and other investors, including TetraSun management. Terms of the transaction, which is expected to close in the second quarter of 2013, were not disclosed. First Solar and JX Nippon Oil & Energy also have entered into discussions on an agreement to distribute the technology in Japan. TetraSun’s core technology is a proprietary cell architecture which breaks the historical tie between high-efficiency and high-cost. Compared to other high-efficiency crystalline silicon cells, TetraSun’s advanced cell design is simpler and optimized for manufacturing, requiring fewer process steps with wider tolerances. The design enables high-volume production with higher yields using readily available equipment. Cost-effectiveness is further enhanced by using large-format (156 mm) n-type wafers and eliminating the need for expensive silver and transparent conductive oxide (TCO). The technology also benefits from a low temperature coefficient of power, which produces superior energy yields in hot climates compared to typical silicon PV modules. First Solar tentatively plans to begin commercial-scale manufacturing of the new technology in the second half of 2014. All fourteen of TetraSun’s associates will join First Solar and continue to be based in San Jose, Calif. The technical team brings First Solar significant expertise in silicon PV R&D and a track record of innovation at companies like SunPower and Fraunhofer ISE, where they earned world-records for silicon cell efficiency.